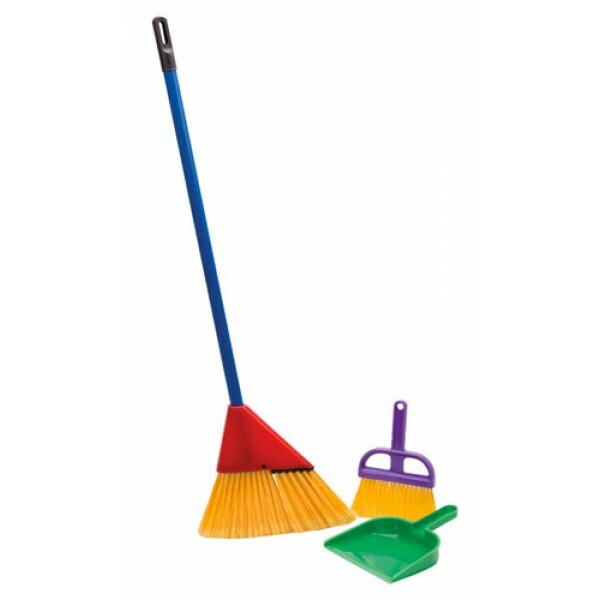 This 3-piece broom set from Schylling looks just like a real broom, brush, and dustpan -- because it is! All three pieces are perfectly sized for kids. Now they can help alongside the grownups, or clean their own spaces. 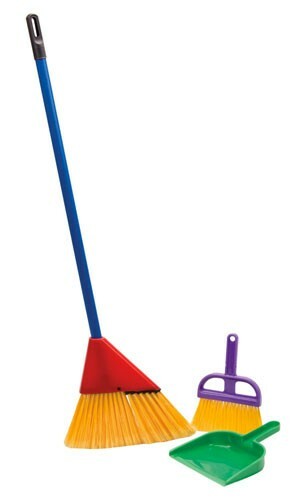 Contains 33" broom, small brush, and small dust pan; comes in assorted colors.